I'm back in my comfort zone today, as I have a really great alternative album to review. And it feels really great to be listening to a good album, because I've been sort of reviewing "fringe" genres (at least compared to what I usually try to find). So what's up today? 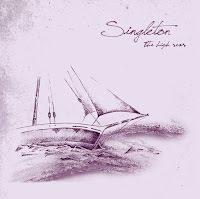 Why, it's Singleton and their album The High Seas. I first read about this album on FrostClick; thanks to FrostClick, I didn't have to do as much research about the band: Singleton is from Kiev, Ukraine, and have been around since 2004. 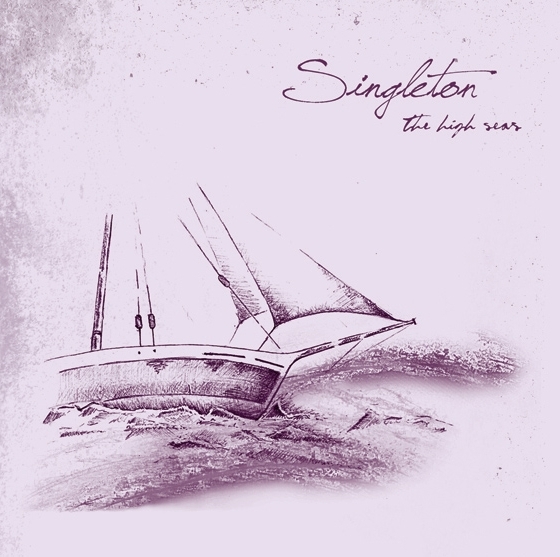 I actually thought the name "Singleton" sounded familiar, so I instantly searched my music library to see if I had their earlier EP, Storms, on my computer; I didn't, but it turns out there is a good reason the name "Singleton" sounds so familiar. For one thing, FrostClick wrote about them before; for another, so did I! Back then, they were known as The Singletons. I originally wrote that they're from Barcelona, but this latest FrostClick article says they're from Kiev...so I don't really know what to believe at this point. Either way, it doesn't matter, because the music speaks for itself. You can still hear a lot of the original influences I mentioned when talking about their EP - a lot of British influences, mainly, but not as much Surf as I noticed before. I did notice that when I was listening to the album it reminded me a lot of I Am Not Lefthanded's sound, which is always a good thing. Check them out when you get a few free minutes - it's well worth your time. Oh, and I thought the album artwork was also superb - I always love seeing well-produced album art. Hi :) Actually these are 2 different bands - Singleton (from Kiev) and The Singletons (from Barcelona).